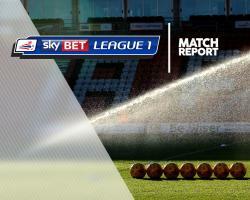 Fleetwood gave their slim hopes of catching second-placed Bolton a boost as they beat Oxford 3-1 at the Kassam Stadium. After Curtis Nelson had cancelled out Bobby Grant's opener, Ashley Eastham's well-placed header from Amari'i Bell's cross 14 minutes from time put Uwe Rosler's men ahead again. And with three minutes left David Ball hammered home following a mistake by Marvin Johnson to move the visitors within seven points of Bolton in the Sky Bet League One promotion race. The result ended Oxford's faint chances of reaching the play-offs, though they did produce an improved performance after their disappointing display in Sunday's Checkatrade Trophy final against Coventry at Wembley. Fleetwood took a third-minute lead when debutant Canice Carroll brought down Bell in the area with an ill-judged challenge and Grant fired the penalty straight down the middle, ending the Trawlermen's three-game goal drought. But the U's hauled themselves level three minutes later when defender Nelson brought a loose ball down in the box and fired home after Liam Sercombe saw his shot blocked. Chris Maguire skied a good opportunity from Conor McAleny's cutback before half-time. Chances were few in the second half but Eastham and Ball were ruthless when they had a sight of goal.